We visited the famous Lodhi Gardens of Delhi in the first week of November with a group of friends. The weather was just right! Around this time Delhi is neither cold nor hot and therefore, becomes an ideal time for picnics. 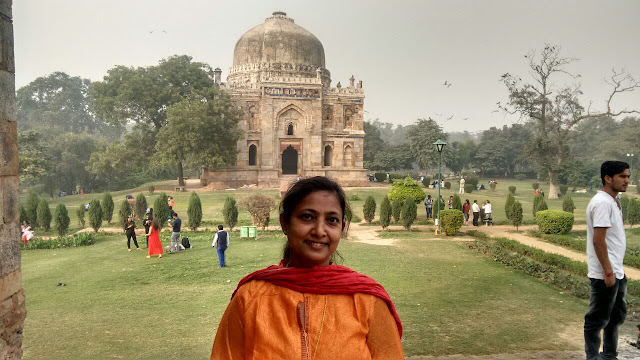 We were out to enjoy the lazy Sunday afternoon and Lodhi Gardens gave us the perfect sanctuary to be away from the busy and crowded Delhi. Located in the heart of the city, it is near the India habitat Centre on Lodhi Road. Delhiwalas frequent this place every morning for a jog or a walk and on weekends come back with their families to spend time away from the cacophony of the urban setup. On weekdays, however, you can only find run-away students and young couples who want to have a little time to hide themselves away from the prying public eye. This garden was called the "The Lady Willingdon Park" during the British Raj which was subsequently changed to the "Lodhi Gardens" after Independence. 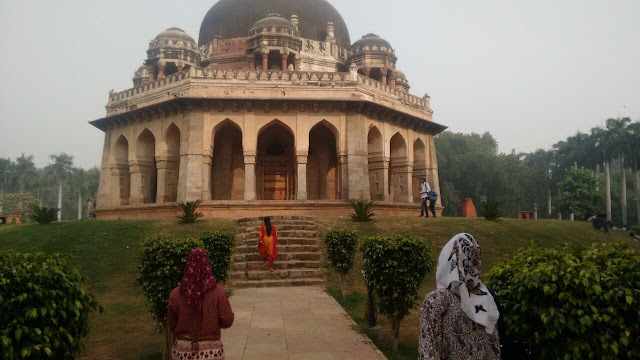 Multiple tombs from the Sayyid and Lodhi dynasty (last of the Delhi Sultans before Mughals) are spread across this well maintained and manicured garden. The Bada Gumbad and Sheesh Gumbad are the ones located in the centre. 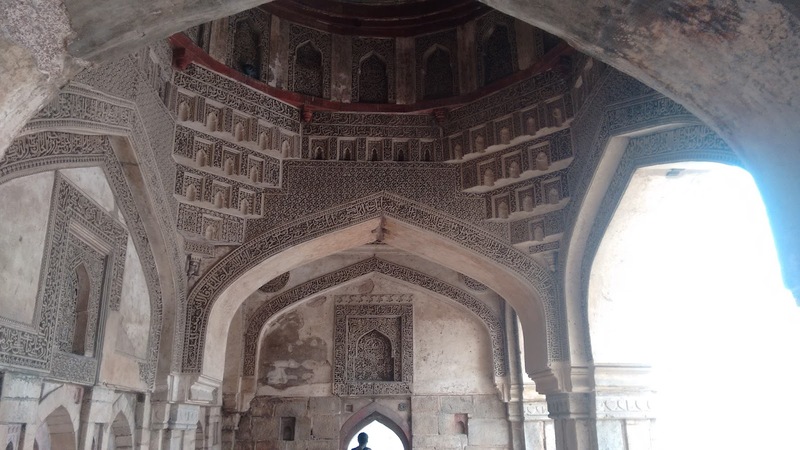 Mohammed Shah’s tomb and Sikander Lodi’s tomb are crumbling edifices. The Bada Gumbad is a three-domed mosque with a very unique architecture. 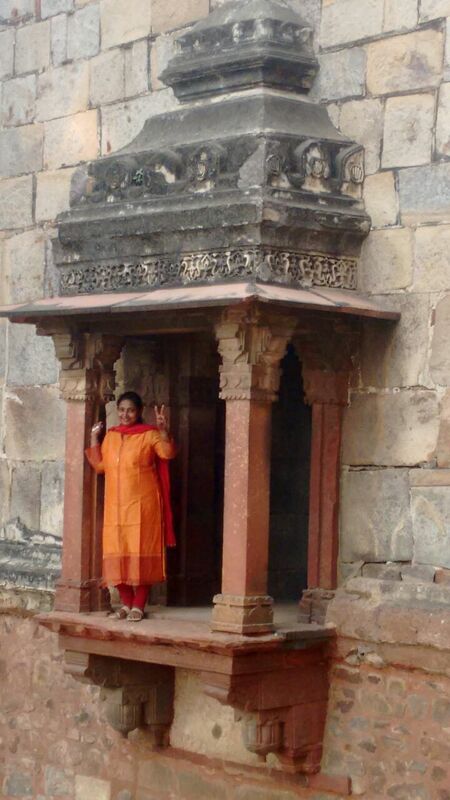 The jharokha’s are quite enchanting with an old world charm. The walk around the garden was refreshing and at the same time rejuvenating. It took us some couple of decades back. We visualised ourselves in that era when there were people dwelling in and around these mosques and the structures. How would these have been decorated and how were people living in those times. The structures were imposing and yet had a very warm and magnificent feel to it. I imagined children playing in the front yards of the mosque. The mosque is decorated with red, grey and black stones with Quranic inscriptions. The black quranic inscriptions on the walls and ceilings were decorative and imposing. There was another tomb near the bada gumbad called the sheesh gumbad which has tombs of an unknown family. The garden is dotted with Ashok trees and palm trees with a variety of plant species. There is a lake too in one of the corners. Overall, it was a time spent relaxing and unwinding in the company of friends in a serene and tranquil atmosphere!